Kelwin & Roy at Trader Representation Award Presentation 2018. Kelwin & Roy with their awards! We recently attended our company’s annual TR (trading representative) night 2018, a time where the company’s trading representatives gather together not only to celebrate their achievements but to let their hair down. As the saying goes, all work and no play makes jack a dull boy. We are humbled that we managed to clinch the Poems Top10 Trading Rep in the Equity&CFD for 2017 award. We would like to extend our heartfelt gratitude to our clients for their unwavering support and also to our families who took on the extra duties as we were out conducting our seminars. We are honoured to have clinched this award for the second year running and will continue to strive even harder to bring our clients timely trade analysis and top notch service. Our core focus still remains in delivering superior service and timely market analysis to our clients. We hope to have you on board and feel the difference of having a Team of Top Tier Remisiers supporting you through your trading/investing journey. If you are interested to take action then Click HERE. 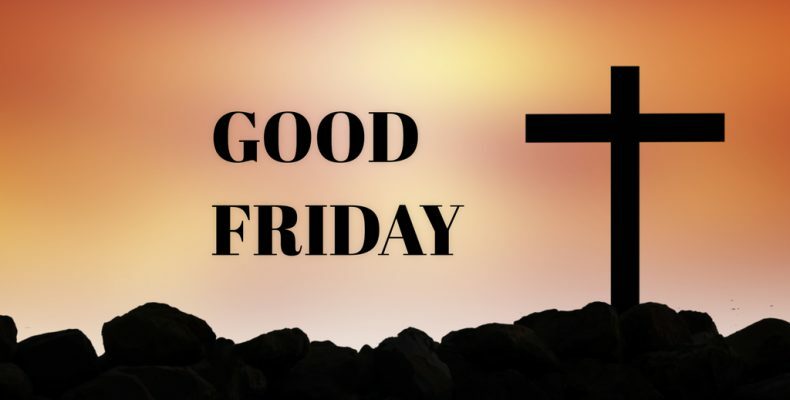 Today is Good Friday and the start of the Easter weekend. It is a holy time for Christians as it marks the death and resurrection of Jesus Christ. Wishing our Christians friends a blessed time. It is also a long weekend as Singapore markets are closed. We hope all of you are able to spend some quality time with friends and family. We will be updating more on the market over the weekend so do stay tune. Straits Times Index or STI had a fake breakdown from its uptrend support line yesterday. It managed to close above the uptrend support line and tested it again today. For now markets are awaiting fed’s decision on the interest rates. Although markets are prepared for interest rates to raise this time, they are watching what the new Fed chairman Jerome Powell has to say during his first news conference. As such, this might bring more market volatility has market embrace to the new changes. Market is still uncertain as to how many more hikes are coming this year or next and market dislikes uncertainties. So continue to follow closely, we have drawn some support lines and resistance lines. And watching for the breaks. Overall, if there are pullbacks it might present opportunities to position ourselves for a next possible upswing. UMS an electronic and semiconductor equipment manufacturer had seen a good breakout and upswing of more than 12% since last Friday( 9th March). UMS has very resilient despite the overall choppy market. For the first time, we are revealing what our trade plan would look like. UMS trade analysis was sent to our EXCLUSIVE CLIENTS last friday (9th March) with an entry price, STOP LOSS and even our personal potential targets. STOP LOSS is a must as it helps protect our downside. Since our entry of $1.20, UMS has been steadily moving up over 12% on friday close.As such we would start to trail our upside and of course inform our exclusive clients of the next potential upside target. Step by step that’s how we guide our clients through. UMS is currently having some profit taking and might see it head down to $1.29 or even $1.25 at the resistance turn support. Uptrend still looks intact. Want to be informed of such trade analysis with such detailed information? Want to be guided through your trades? Sembcorp Marine another counter that had a breakout this morning. Sembcorp Marine was trading in a range from 2.03 to 2.11 the last few days. Only when it broke out that’s when we felt it was a better time for an upside movement. Needless to say our exclusive clients were informed of this breakout at $2.11. Sembcorp Marine moved up to our first target of $2.18 and staying above that might see it move up to our next target of $2.25. Upside still in tact and it’s the first day of break out. Lets see. Citydev a blue chip property stock which we mentioned just on Tuesday night started to move and finally cleared the 50ma on Thursday and never looking back. If Citydev manages to close above $13.45 we might see it move up to $13.59. A very nice trade set up for Citydev if you ask us and of course our exclusive clients were informed of the precise entry at $12.89. Don’t want to miss out further? Want to be informed timely on such trade analysis like Citydev when it moves? Want to learn how use CFD to enter such a trade? Then don’t miss out on this coming tuesday as we demonstrate how traders can leverage on CFD while ensuring prudent risk management . We’ll also share how you can join our exclusive community for free. Simply Click HERE if you want to make a difference to your trading journey with our team of top tier remisiers. Memtech Intl had yet another powerful run today. It is up 35% since our entry of $1.30. Another target met today at $1.70 as Memtech Intl just pushed through without much effort. Our next possible target might be $1.80 as per chart. Memtech Intl’s volume to swell up and the chart is starting to look a little parabolic. We would start being cautious and ensure to have your trailing stop in place. Some suggested trailing stop area could 1.70 or 1.67. If you would to learn how to swing such a counter like Memtech Intl using CFD then don’t miss out on our CFD workshop next tuesday. Come join us for a FREE 2 hours jam packed workshop and where you’ll coach you on using CFDs and also reveal our trading strategies for spotting stocks like Memtech intl. Don’t miss out on learning how you can join our exclusive trading community too.